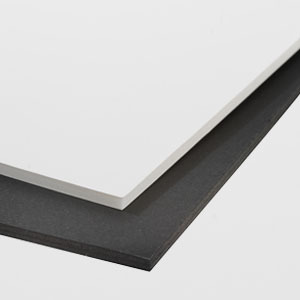 5mm Black Core Foam board has a black polystyrene core and is laminated on both sides with black, coated paper. It's a lightweight foam, easily manipulated with a utility knife. The Black Core Foam Board is excellent for mounting works, giving added depth and dramatic background.